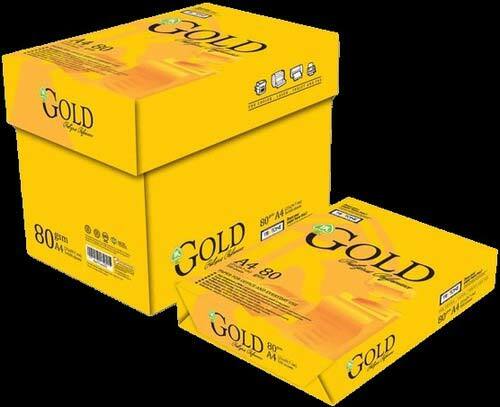 We are a prominent Exporter and Supplier of Gold A4 Size Copy Paper in Thailand. This paper is ideal for high-speed, high volume printing and can be used in photocopy machines, laser printers, inkjet printers and fax machines. The Gold Star A4 Copy Paper features excellent brightness and is free from any acidic constituents. We are equipped to cater to your bulk requirements. A wide range of packaging options as per your need, timely delivery and modest prices are few reasons why you must order Gold Star A4 Copy Paper from us.